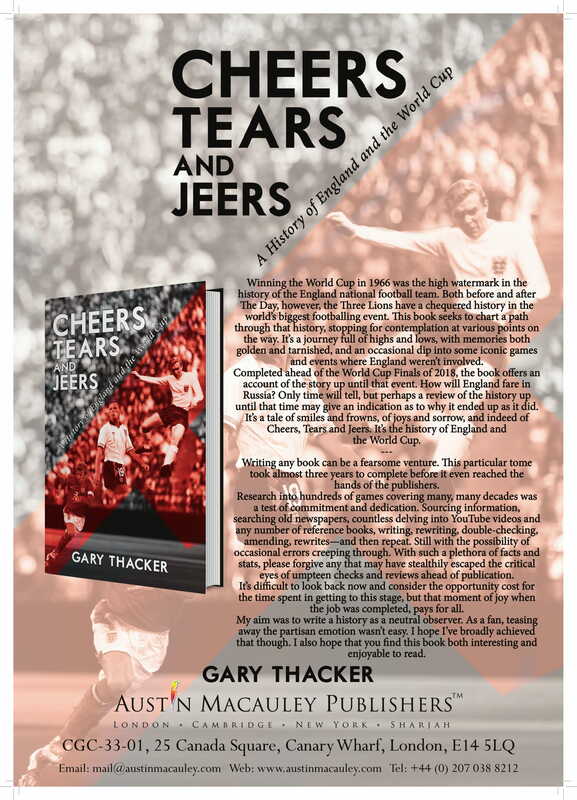 Cheers, Tears and Jeers – A History of England and the World Cup. 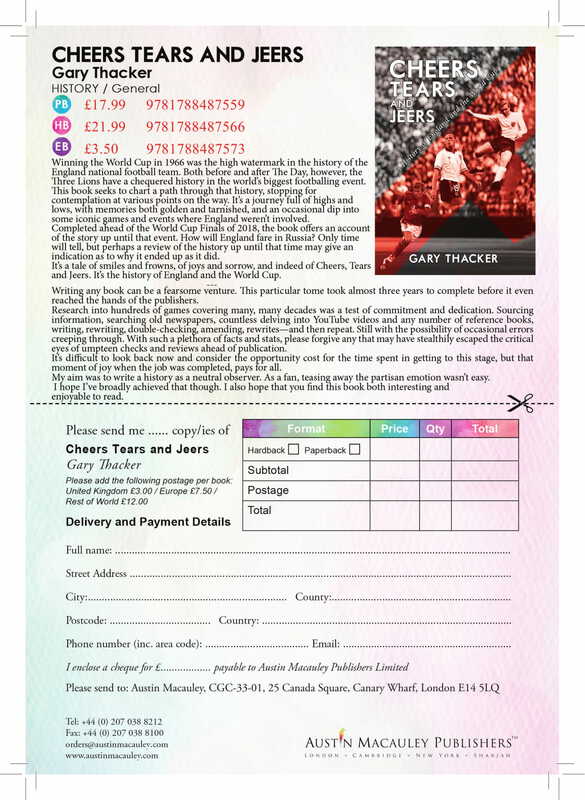 The publishers are producing a number of promotional items – two posters – one advertising book signing events, and one advertising the book itself, a two-sided flyer, a two-sided postcard and a bookmark, They will be using these in the PR campaign for the book. I’ve just received soft copies of these items and attach an image of one of the posters. As mentioned the book will be available from the usual online sites, directly from the publishers themselves, or from all good bookshops – and perhaps a few crappy ones as well.